Bobby is heading to cinemas this May. Bobby Moore is heading to the big screen in a new documentary. 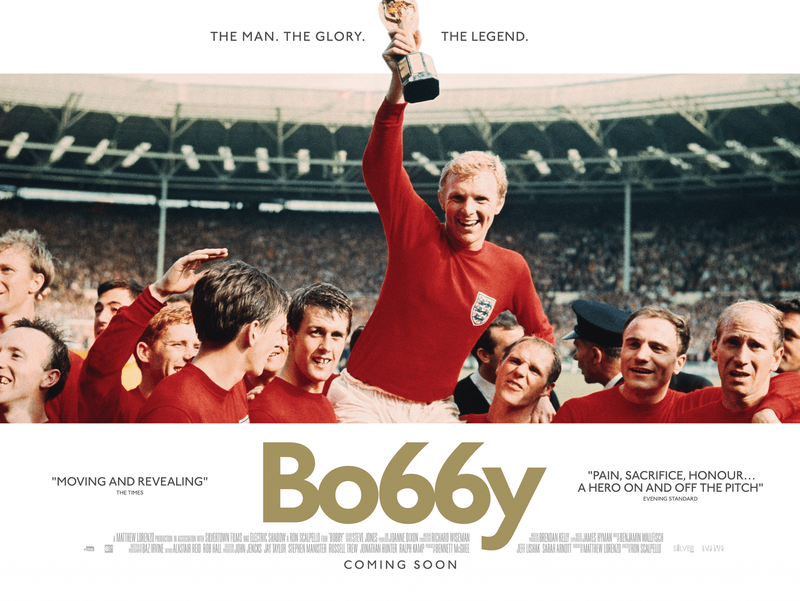 The only man to lift the World Cup for England is the subject of Bobby, an all-star film that features some of the biggest names in football paying tribute to the West Ham centre-half. It’s all in time for the 50th anniversary of England’s greatest triumph in 1966. Pele, Geoff Hurst, Gordon Banks, Frank Lampard, Wayne Rooney, Harry Redknapp and Moore’s family are on hand to offer up their take on the Hammers icon, while the likes of Russell Brand, Ray Winstone and Ray Davies will discuss his contribution to popular culture. The film will shine a light on the golden era of English football with vivid archive footage from the 1966 final and Moore’s life away from the field. “We used to go to parties with The Beatles and The Rolling Stones. Sean Connery used to babysit for us,” said Moore’s ex-wife Tina. Despite being fully authorised by Moore’s family, the documentary won’t shy away from tackling the darker side of his life. Moore was implicated in the theft of a jewel bracelet from a Colombian hotel during England’s warm-up for the World Cup in 1970. Dubbed the Bogotá Bracelet incident, Moore was detained for four days and the moment seemingly left him with permanent scars. “Once you’re out the limelight, nobody gives a monkeys about you,” Redknapp said of Moore’s latter-day career. Moore battled with alcohol and failed as a manager at his only league club, Southend. He was just 51 when he died in 1993, less than two years after marrying his second wife Stephanie. Bobby will preview in cinemas on May 27 before arriving on Blu-ray and DVD on May 30.